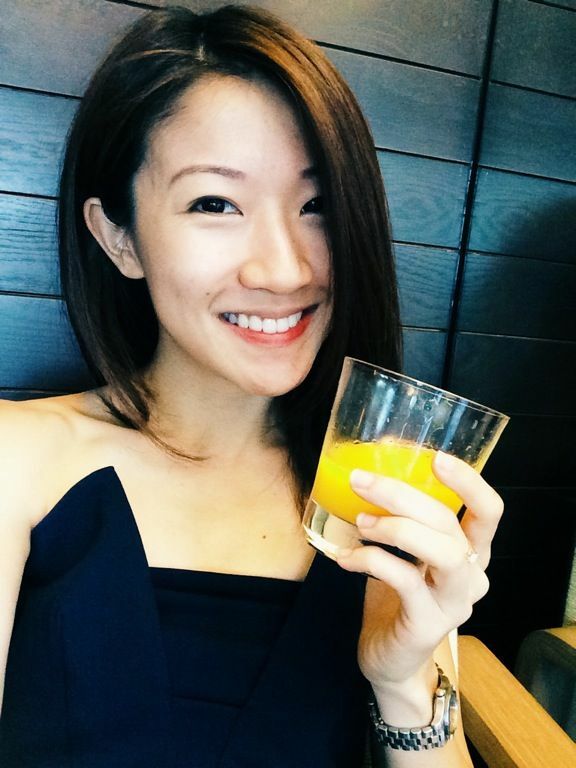 What the Mid Autumn Festival a.k.a. Mooncake Festival spells for food reviewers is the endless supply of mooncakes that threatens the waistline and jawline. While i enjoyed the innovative variety of snowskin creations from the various hotels, i found myself craving for something different, something savory. My cravings must have been heard by the good people at Thye Moh Chan, who sent over some salty teochew mooncakes to neutralize all that sweetness. I wouldn't call them mooncakes actually because they are more like the 'piah' (chinese pastries) that i grew up eating. I love the salty tau sar piah (mung bean paste pastries) since young and hence i really enjoyed the savory mooncakes that Thye Moh Chan offered. TMC has been handcrafting these ethereal-light flaky pastry skin with a selection of fillings laboriously by hand since 1943. My mama was raving about them when we walked past the store at Chinatown Point previously. Needless to say, my little old lady left the store with a huge bag of traditional biscuits. You could imagine her happiness when the mooncakes arrived. I didn't even get a chance to get a proper picture before she dug in. 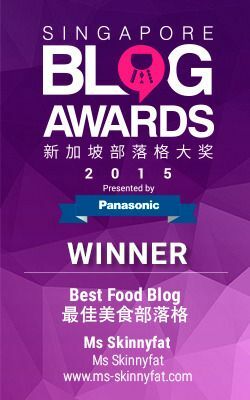 The sweet and savoury mung bean filling each enveloped a single salted egg yolk. 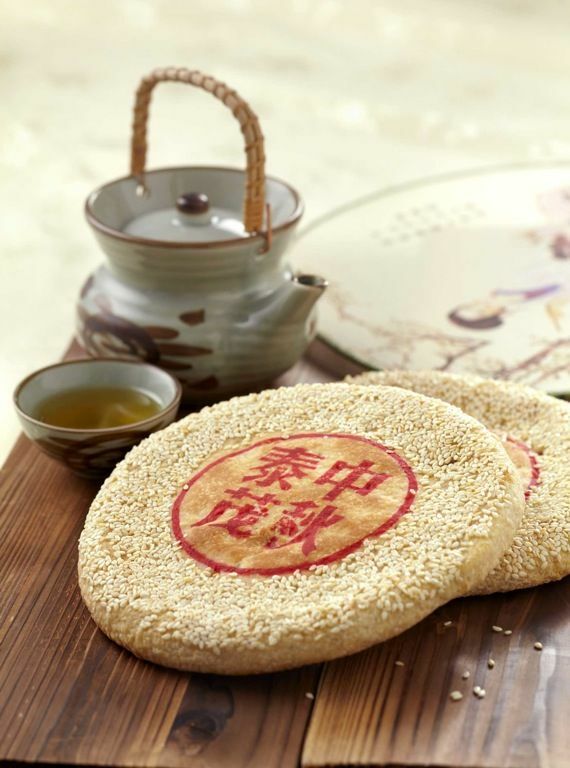 The sweet rendition is topped with white sesame, while the savoury encompasses a blend of salty mung bean paste with fried shallots, white sesame and is seasoned with white pepper. They crumbled very easily and i found that it is easier to scoop each slice up with a spoon so that you can taste all the filling. It is similar to the Salty tau sar but on top of that, there's spicy pork floss in them! ZOMG. I guess that's also some of the Breadtalk influence as they have been running under the Breadtalk brand for a while now. Not that i'm complaining. 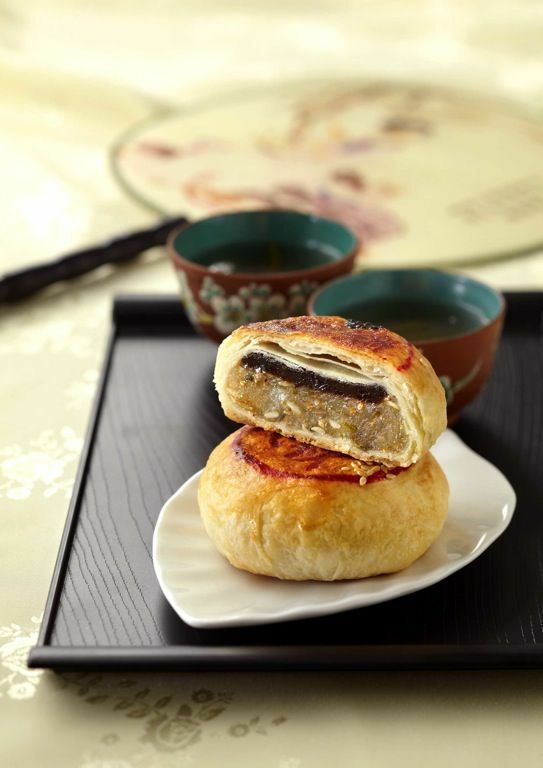 The pork floss adds on that tinge of sweetness which gives this mooncake a more complex flavor. Super yums! There's also the rare Durian flavored one during this MAF period. 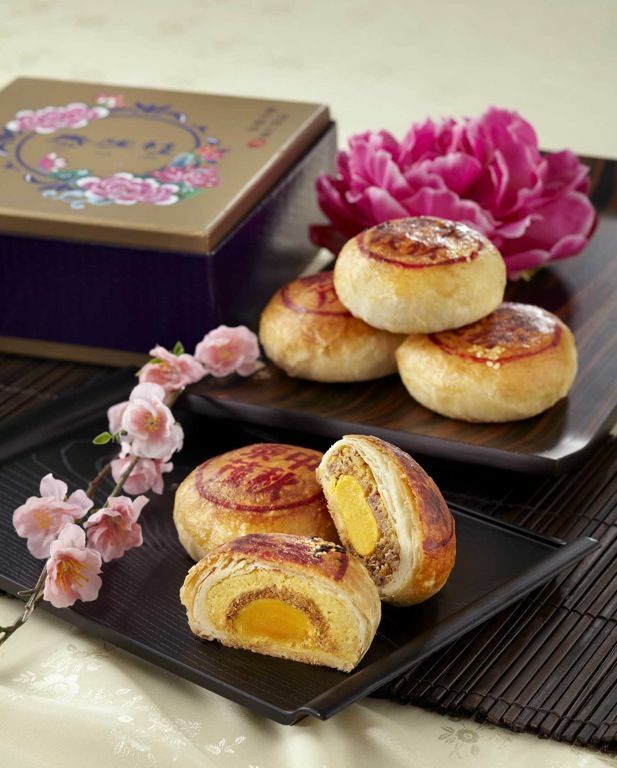 Limited quantities of this smooth D24 durian-infused bean paste and crispy pastry could be purchased only at Thye Moh Chan outlets for $35.20 for 4 medium sized mooncakes. 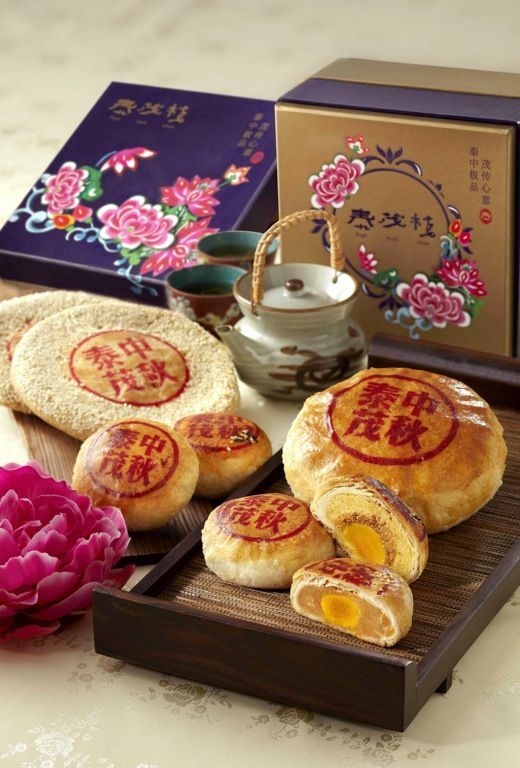 For something to symbolize the big round moon during MAF, you could go for the Traditional Teochew Mooncake ($18/pc) which is a delightful combination of maltose, white sesame, dried kumquat and five-spice powder. All the mooncakes are produced in limited quantities so you are encouraged to place your orders in advance for collection till 15 September. Mooncake vouchers are also available for gifting purposes and you can also mix and match the flavors too.